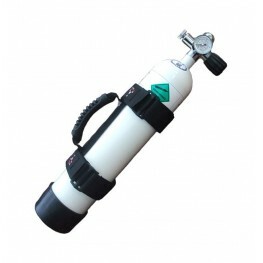 If you already own a cylinder, whether it be an old SCUBA diving cylinder or a purpose-made airgun cylinder, you'll need a way of transferring the air to your airgun. 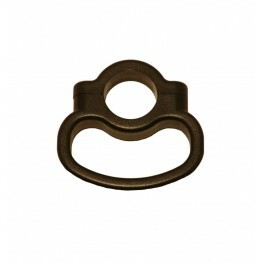 We carry a full stock of spares for all of our airgun products, from Gauges to O-Rings, you will find everything you need in our spares section. 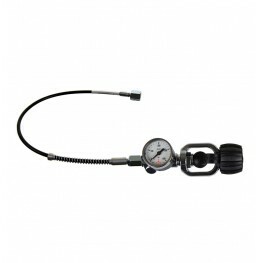 Our accessories help protect and allow you to tailor your equipment to suit you. 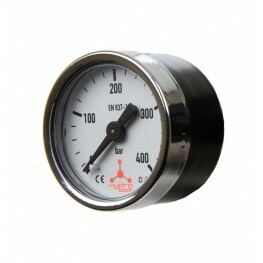 Our cylinder sleeves protect bottles and look smart, compressed gas stickers help you to keep on the right side of the law when carrying your cylinders and carry handles make lugging heavy cylinders around much easier. Hydrotech's new braided hoses are revolutionary to the airgun market and bring unrivalled flexibility whilst maintaining strength. 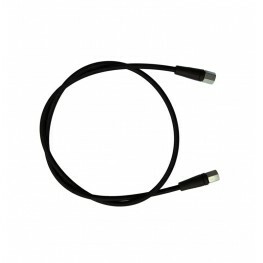 With their kink-resistant design and excellent abrasion resistan.. This rubber boot stops your bottle from falling over by simply pushing onto the the bottom of your cylinder which gives it a flat base to help prevent the bottle from falling over.This boot will fit 3..
Cylinder Storage / Transport Cradle.Suitable for all size cylinders in the vehicle, and all cylinder sizes on the shelf.2 Heavy duty webbing straps with heavy duty closed cell poly foam support bars.D..
Our plastic carry handle tightens using two allan key bolts and is simple to attach. Once attached, this handle makes carrying cylinders much easier and reduces the chances of damage by lifting a weak..
BEST Fittings Quick Coupler Socket QC02 incorporating a simple flow restrictor device. 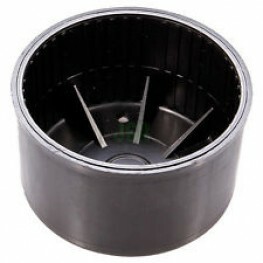 Suits our QC03 Plug, High Pressure Fill Valve, Daystate, Benjamin, Brocock, Crosman, Logun Eagle, PCR1, Ripley mo.. 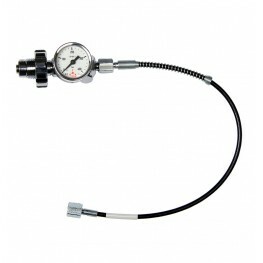 Working at up-to 232 Bar, this charging kit will fit onto any A-Clamp style cylinder valve. 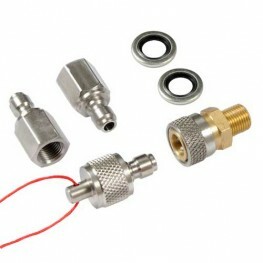 Simply connect your guns' fill connector or quick-disconnect to the end of the hose and away you go!.. At 300 Bar, this charging kit will provide more fills at a higher pressure than its 232 Bar counterparts. 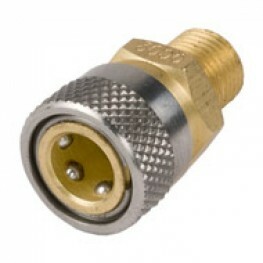 This unit is designed to fit into any 232 or 300 Bar DIN valve fitting. .. 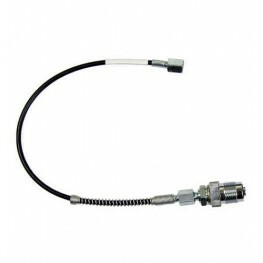 The Hydro Tech quick coupler kit offers a high quality cost effective, slim line solution enabling the quick and easy change over from one filling probe to another. The quick couplers fit almost .. 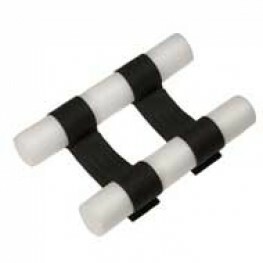 Constructed from high-quality neoprene, these cylinder sleeves help protect your cylinder from knocks and bumps. 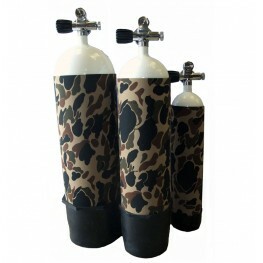 Available in a full camo, the sleeve hides the bright colour of the cylinder when in th..